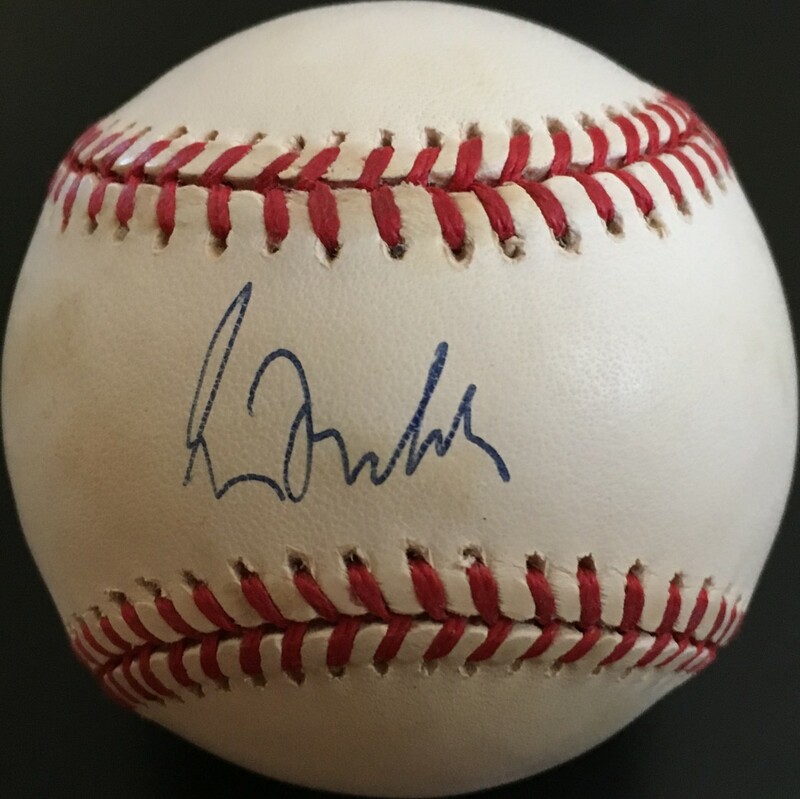 Official Rawlings 1995 World Series baseball autographed in blue ballpoint on the sweet spot by Hall of Fame pitcher Greg Maddux, obviously a key member of the Atlanta Braves team that won the World Championship. NOTE: has moderate age discoloration (yellowing). Obtained in person. With certificate of authenticity from AutographsForSale.com. ONLY ONE AVAILABLE FOR SALE.